Thermostat assembly for R55 R56 R57 MINI Cooper and Cooper S. We've found this to already be one part that is failing on the N12 and N14 engines. 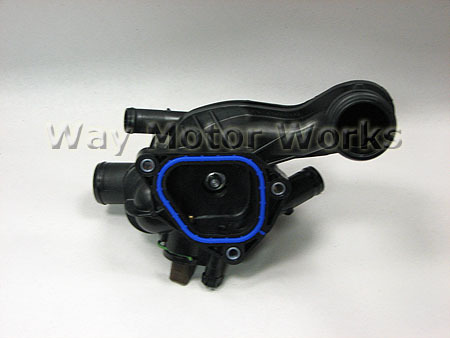 It causes a check engine light and code for thermostat temp. This is the electric operated thermostat assembly. 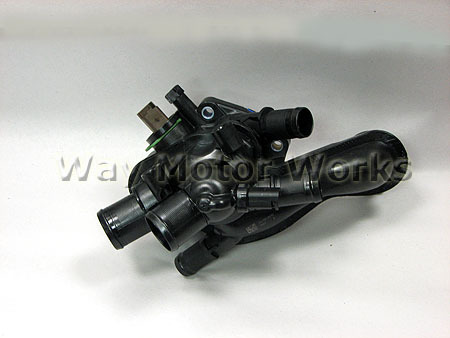 We've also nicknamed it the artificial heart cause that is what it reminds us of with all the hoses coming off of it.